This article targets Step 1: Student Programs. If you are looking for the Homeless Students portion of this article, you can click here. 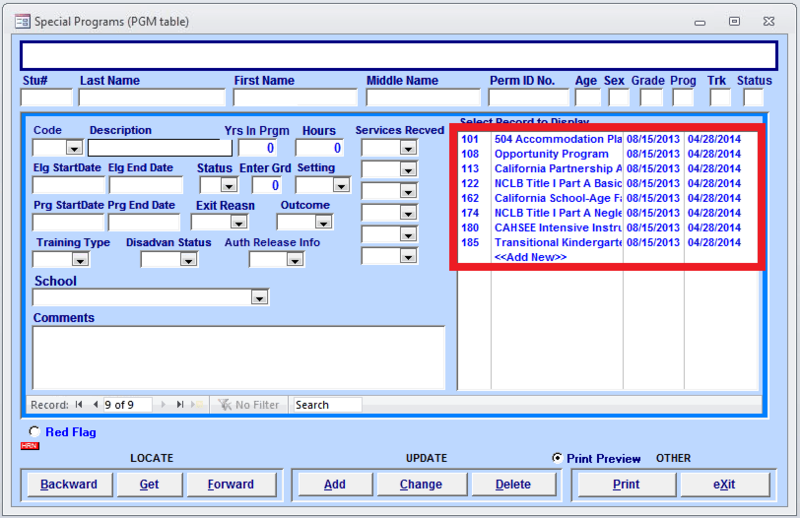 Once a student record is opened in Aeries CS, click on the “Programs” button. 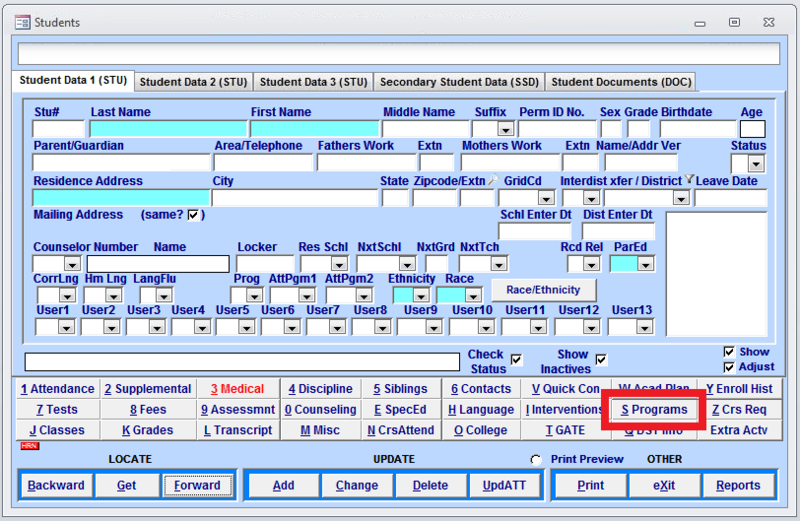 Then you will have an option to pull down the code menu to expose all of the different types of student programs. You should have a huge list to choose from but remember that only the ones listed above count for CALPADS EOY 2! Once you have added your programs, they should appear on the right side window! Program eligibility covers student programs that need to be reported as eligible and not necessarily participating. However if a student is reported as participating, they are also considered eligible. In EOY 2, there is only one such program. Start Date = Mostly likely the first day of school. 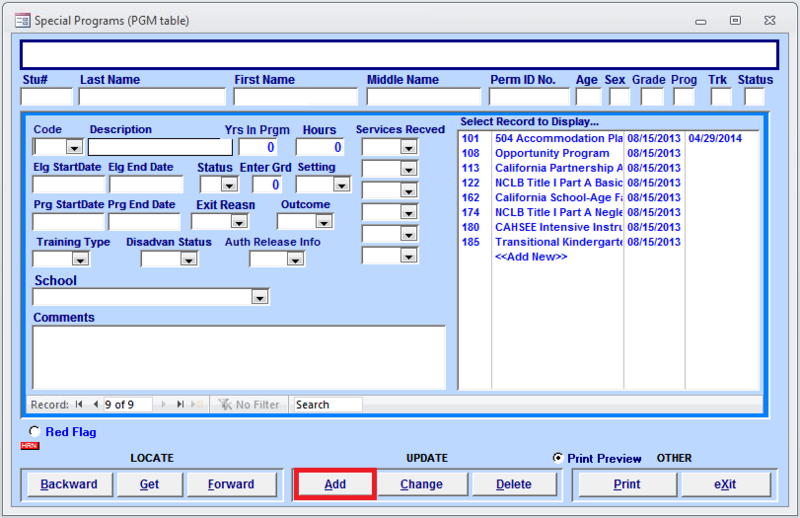 End Date = Leave blank unless there is a change to the program or the student leaves the school. Students may be reported with an Education Program Membership Category Code of “Eligible” or “Participating,” but only students who are actually receiving services through a 504 plan should be reported. This will be used to validate whether or not it is appropriate to submit a CAHSEE waiver or Exemption record for a student, as only special education students and students with 504 plans can be granted CAHSEE Waivers and Exemptions. These programs require reporting for participation and not just eligibility. These data were formerly collected on the Consolidated Application (ConApp), Part II. 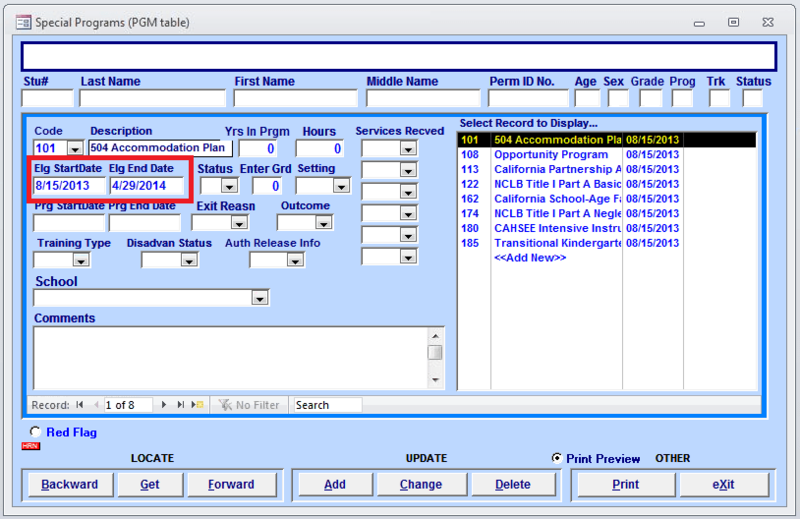 LEAs do not need to report students participating in NCLB Title I Part A Basic Schoolwide. 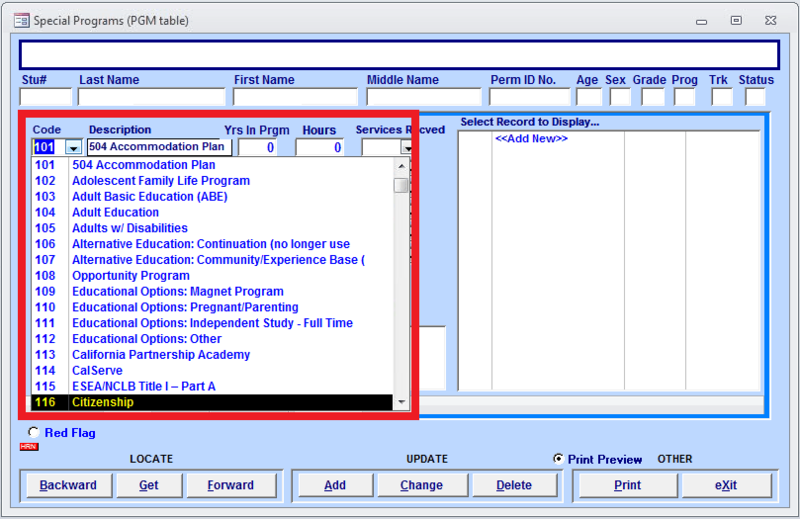 Counts of participants in any program providing services to students who are pregnant or parenting (including, but not limited to, the California School-Age Families Education [Cal-SAFE] program) are being used as proxies for pregnant and parenting teen data that are required for federal Perkins reporting. Reporting student participation in this program is optional. 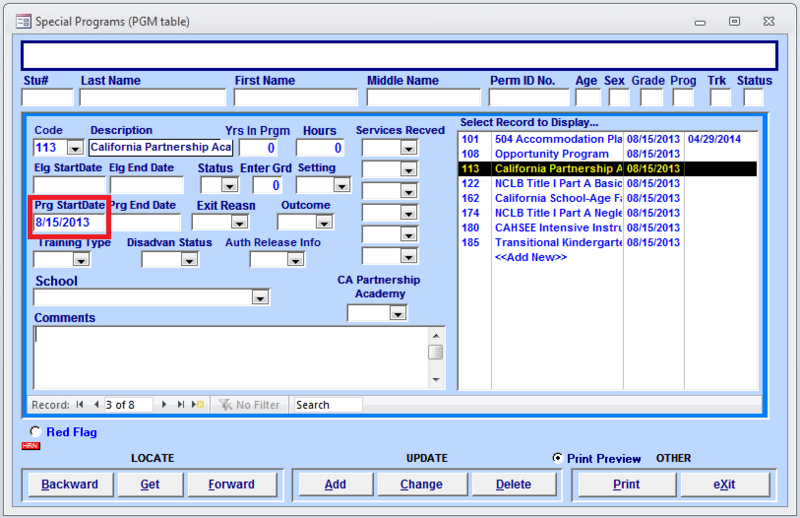 However: Students enrolled in given LEAs solely for the purposes of participating in the CAHSEE Intensive Instruction program should be reported to CALPADS with enrollment statuses of “Receiving specialized services only,” so that the students may be tracked for graduate and dropout purposes. 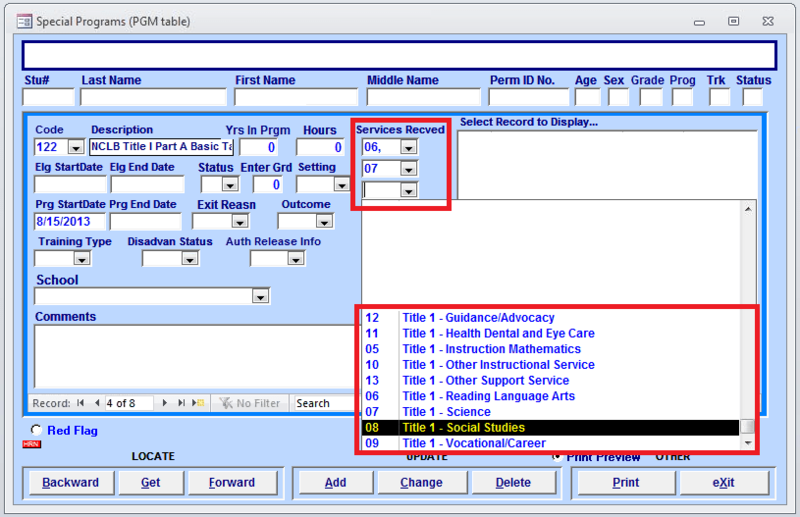 Refer to the SSID and Enrollment Procedures document for information on this type of enrollment status. “Transitional kindergarten” means the first year of a two-year kindergarten program that uses a modified kindergarten curriculum that is age and developmentally appropriate. Students participating in a Transitional Kindergarten program are enrolled in CALPADS with a grade level of Kindergarten (KN).